Eligibility. To be eligible for Commission (i) an Affiliate Lead must be accepted and valid in accordance with the ‘Acceptance and Validity’ section, (ii) a Customer Transaction must have occurred (iii) a Customer must remain a customer sixty (60) days plus the number of days until the end of that calendar month in order to be eligible for a Commission. For example a Customer who makes a purchase on the 15th of March must remain a customer until the 31st of May in order to be eligible for a Commission. All transactions must occur on a HubSpot.com domain. Any transactions occurring on international domains (.fr, .jp, .de, etc.) will not be eligible for Commission. You are not eligible to receive Commission or any other compensation from us based on transactions for Other Products or if: (i) such compensation is disallowed or limited by federal, state or local law or regulation in the United States or the laws or regulations of your jurisdiction; (ii) the applicable Customer objects to or prohibits such compensation or excludes such compensation from its payments to us or HubSpot Affiliates; (iii) the Customer has paid or will pay such commissions, referral fees, or other compensation directly to you, (iv) the Commission payment has been obtained by fraudulent means, misuse of the Affiliate Link, in violation of any Affiliate Program Policies that we make available to you, misuse of the Affiliate Tool or by any other means that we deem to breach the spirit of the Marketing Affiliate Program, or (v) the Customer participates in any of our partner programs, including our Agency Partner Program, Sales Referral Partner Program or Sales Solutions Partner Program and is eligible to receive commission in relation to the Customer Transaction under any of these programs. If at any point you are eligible to receive a revenue share payment under the Sales Solutions Partner Program Agreement, Sales Referral Program Agreement or Agency Partner Program Agreement that payment amount will not change based on your participation in the Affiliate Program. For example, you will not be able to receive the Commission set out in this Agreement on any Partner Transaction that was completed whilst participating as a partner in the Sales Referral Partner Program (as defined in the Sales Referral Partner Program Agreement). In competitive situations with other affiliates, we may elect to provide the Commission to the affiliate that we deem to be the most eligible for Commission, at our discretion. We may discontinue Commission payments should any of the eligibility criteria set forth in this subsection fail to be met at any time. Purchases via HubSpot for Startups or HubSpot for Entrepreneurs are not eligible for Commission payments. We start with a Bestselling course. Theo McArthur has been working online since 1995 (yes that’s before many of you were even born) and comes with over 20 years of online business experience. Having taught 10,000+ students, you can be rest assured you are in the right hands. A pre requirement for this course will be having knowledge of setting up a wordpress website(or any other platform). 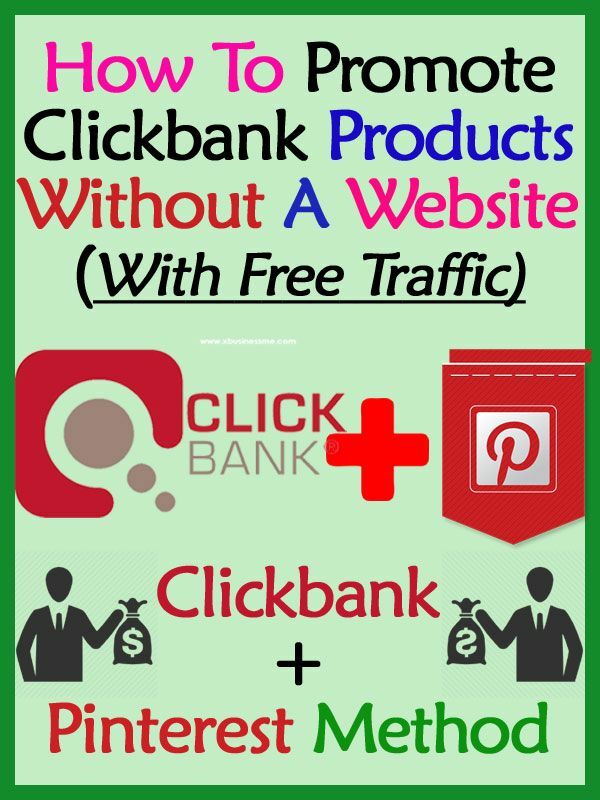 This course will then help you maximize income potential by promoting multiple products withing your niche / niches and most importantly help you drive a lot of relevant targeted traffic from some of the best sources on the internet. Just an FYI, it’s better to avoid phrases like “Get a great deal on Crest Whitestrips’ or any other qualifiers regarding the quality of the deal or price. You cannot guarantee that the deal is actually “great”, and Amazon is known to be picky about these things and treating them as misrepresentations of their brand / dishonest marketing. It’s best to keep calls to action neutral, things like “check price” or “see current price” etc. Before purchasing the site, ask the seller if they have any special offers with their affiliate managers/networks. If they do, you will want to make sure that you are going to be getting the exact same special deals when you take over the website. These special deals could be something as simple as allowing extra people into a capped offer, or even as lucrative as providing a bump in pay percentage. How much richly informative the article is? How much appropriate the article style is? And how much more useful the article content is? These are the crucial issues in an article for the successful affiliate content marketing. Because all the arrangements are aimed to build up credibility and trust providing useful information through the article. And helps to generate leads and achieve higher conversion rates for earning ultimate revenue. If you need help with an affiliate marketing agreement, you can post your legal need on UpCounsel's marketplace. UpCounsel accepts only the top 5 percent of lawyers to its site. Lawyers on UpCounsel come from law schools such as Harvard Law and Yale Law and average 14 years of legal experience, including work with or on behalf of companies like Google, Stripe, and Twilio. 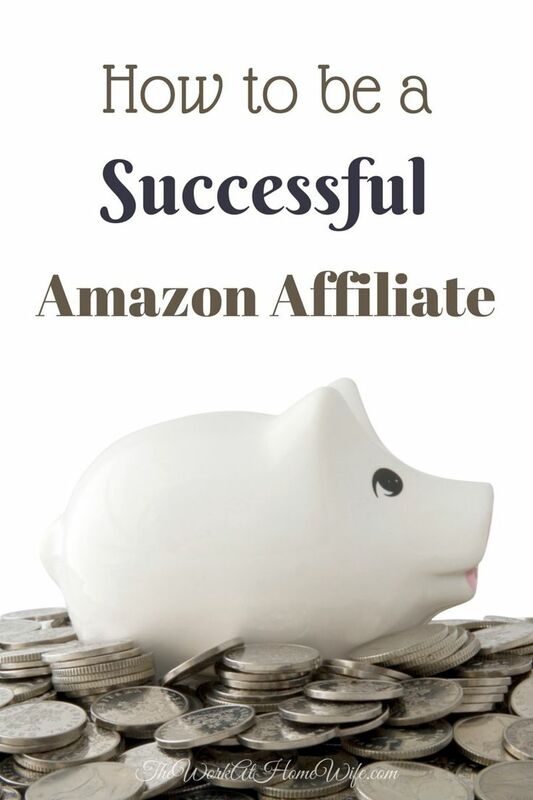 I’m new to the amazon affiliate program but I’ve used others. The 24 hour link is very confusing to me. I know the cookies are 24 hours but if people click and buy do you still get that credit? This seems way too complex compared to other programs but I like that every product is within one website instead of several. Thanks for this information! I’ll be saving and coming back. If you want to find a way to be able to mention products that are on sale more frequently on your website one of the easiest ways I’ve done that in the past is to just do a weekly deals post. 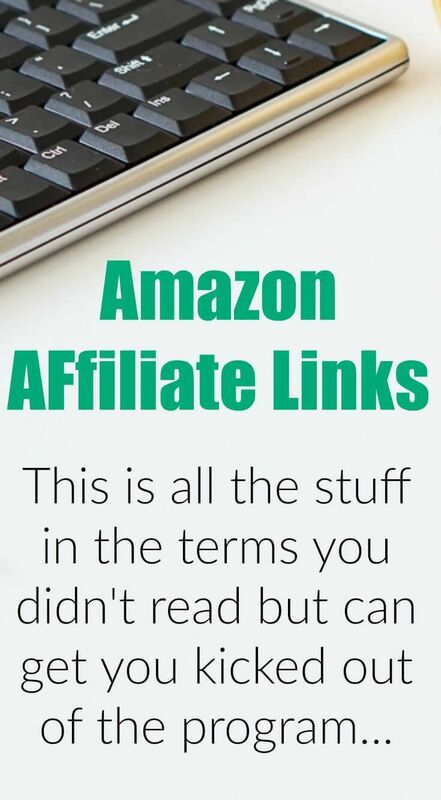 So what I’ll do is publish a post every week with the best deals for my niche and then incorporate all of the previous tactics I’ve discussed above to link to the products on Amazon.com. Depending on how often you publish articles you could do it more or less frequently (I’ve seen some websites do these style of articles every day). After picking out a topic, in fact, what I do first researches the keyword with the topic. An ideal title basically comprises the main keyword that plays king role in the overall content of the article for search engine optimization. In fact, here in this blog post “best affiliate article” is the prime keyword. You could define “how to write the best affiliate article” as your main keyword that is comprised in the title longer is semantically right composition. How can affiliates fight back?. A world world Amazon affiliate strike where we all take our sites offline for a couple days so Amazon can feel the financial sting. Well there’s 2 options for me. Double my workload again to make it back to the point it is in Feb 2017 by late 2018. Or move onto something else. Finding amazon substitutes is not going to happen when one promotes 100’s of products in various niches. Affiliate marketing has a very low barrier to entry; many merchants accept everyone who applies for affiliation. Some forms of affiliate marketing don't even require the affiliate to have a website. This creates a very high level of competition, especially for particularly profitable offers. In forums where affiliates participate, there are frequent claims of commission theft or hijacking by other affiliates and even by merchants. A cookie system that credits the sale to the last link clicked makes these actions more likely. Any tradenames, trademarks or service marks, which Company may obtain with regard to the Technology, are the sole property of Company and/or its Affiliates. Company hereby grants MA, during the term of this Agreement, the right to use Company and/or Company trade names, trademarks or service marks on Technology or in advertising or promotion relating directly to these products. Any use of such tradenames, trademarks or service marks must reference that these tradenames, trademarks or service marks are proprietary to Company and/or its Affiliates. 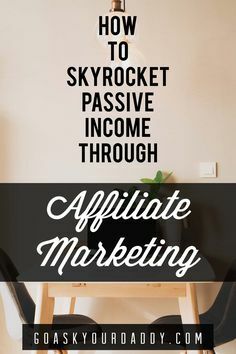 That’s just a general understanding of what affiliate marketing is, but let’s see how we can build a legitimate business with it. This business model can be fully automated and generate us anywhere to a couple of hundred dollars a month, to upwards of half a million a month. And yes, some people are millionaires from this and only spend a couple of hours a week managing everything. It’s basically passive income. This year two affiliate marketers based in California, Shawn Hogan and Brian Dunning, pleaded guilty to defrauding eBay of at least $20 million in a scheme involving a notorious affiliate marketing tactic known as “cookie stuffing.” According to court documents, Mr. Hogan operated a network in which affiliates exchanged links and banner ads to help drive traffic to each other’s sites. The sites also agreed to host ads controlled by Mr. Hogan’s company, but in reality, these ads were cookie-stuffing devices. Users who viewed the ads had a small tracking code, or cookie, dropped on their computer. If those users went on to make a purchase from eBay, the cookie signaled that Mr. Hogan’s company was responsible — and eBay paid a commission. Thanks a lot Spencer for these affiliate marketing tips. 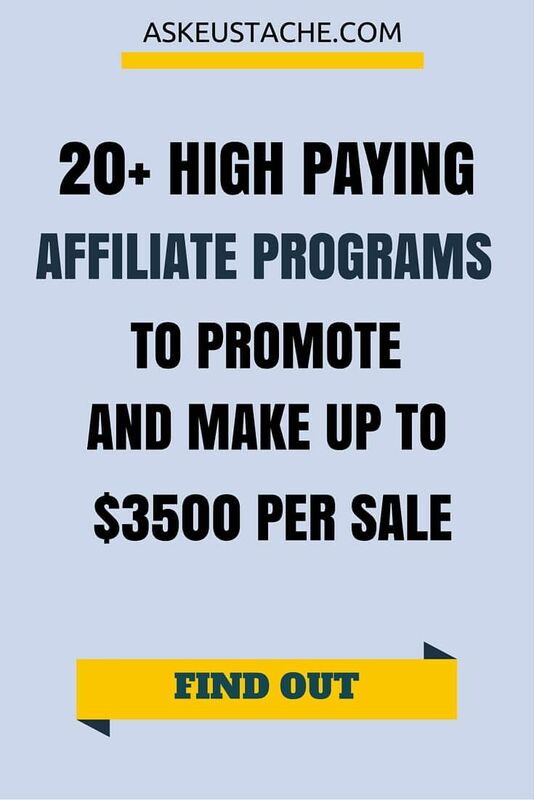 I was looking for some tips on how I can improve myself with affiliate marketing and there your email landed in my mail box and I came across this wonderful piece of information. 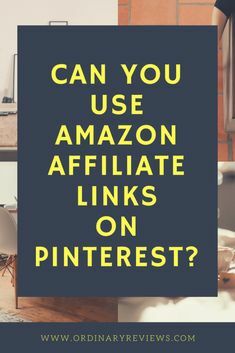 I am happy that you have suggested linking images with an affiliate link and that’s what I did in my last promotional post on my blog. This agreement shall begin upon the date of its execution by MA and acceptance in writing by Company and shall remain in effect until the end of the current calendar year and shall be automatically renewed for successive one (1) year periods unless otherwise terminated according to the cancellation or termination provisions contained in paragraph 18 of this Agreement. Company and MA acknowledge that this Agreement is not a franchise as that term is defined under any and all applicable local, state and/or federal laws in U.S., as amended. Referred Customers who buy FatCow Products and Services through our affiliate network are deemed to be FatCow Customers. FatCow’s Terms and Conditions, rules, policies, and operating procedures will apply to such customers. We may change our policies, pricing, and operating procedures at any time. For example, FatCow determines the prices to be charged for FatCow Products and Services sold through the affiliate network in accordance with our own pricing policies. Prices and availability of FatCow Products and Services may vary from time to time, from affiliate to affiliate, and from region to region. Because price changes may affect products that you have listed on your Affiliate Site, you may or may not be able to include price information in your product descriptions. We will use commercially reasonable efforts to present accurate information on our website, but we cannot guarantee the availability or price of any particular FatCow Product or Service. Traffic can be generated from Facebook, Twitter or Instagram. Marketers can get an Ad Words account and work with providers like Taboola, Outbrain, Web Content, Adblade, AdSense or Bing. There are tracking packages like Click Tracker, Clickmagick, Voluum or ClickMeter. Autoresponder software may be required to get messages out and track interested buyers of your product. MA recognizes that the Technology in source form (code or listing) is the exclusive property of Company and/or its Affiliates and is proprietary to and the trade secret of Company and/or its Affiliates. MA agrees that it shall not, by itself or in association with any other party, reproduce, duplicate, copy, decompile, disassemble or reverse engineer the Technology in source form (code or listing) in any media. Nothing really of value in this book, if you've ever done any online marketing on the affiliation side you already know most what's in this book. It seems to point more to online surveys, and I can tell you from years online experiences - Surveys is a huge waste of your time for the value received. Ask yourself why do survey groups pay you so little, and they reap the huge piles of cash from those they contract with? It's because they find suckers online who think they can earn from numbers shown, it's a mind game, not an actuality game. 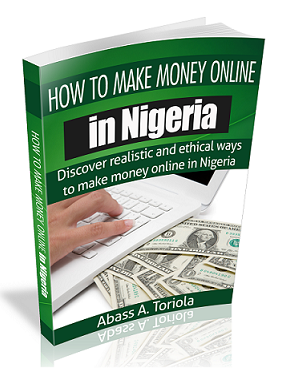 The best way to earn online is going with big ticket items because the commission earned is the same amount of time and efforts used to earn the average returns. If you think doing 20 surveys a day pays you only $15.00 do the math, that's $457.50 a month; but, if you sold an item on commission that earned you 5% from a larger item, the potential is $1200 a sale, make a sale a week, you see the big difference, the game is called TIME. If you do affiliate marketing go with those that have expensive items in the over $10,000 each range, this is how you earn online. Those that claim riches within a year, don't read! 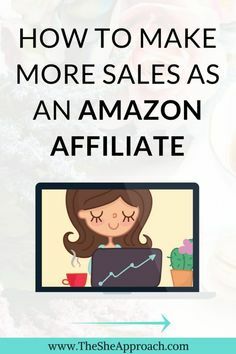 So these were what we found to be some of the Best Amazon Affiliate Marketing Courses, Programs and Training Online that will help you set up your affiliate websites and affiliate stores. 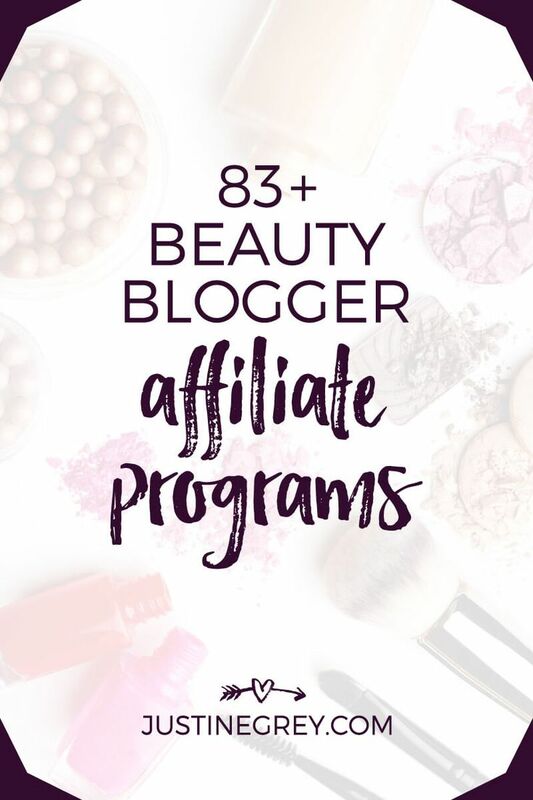 You may also be interested in checking out Best Affiliate Marketing Courses Online , Best ClickBank Affiliate Marketing Courses to Earn Passive Income , How to Import from AliBaba and Sell on Amazon as well as 8 Best Shopify Marketing Courses to Increase Sales and Profits. For Email Marketing, you may want to see these 7 Best EMail Marketing Courses Online and many other digital learning courses listed on our courses page. These strategic buys can lead to new insightful data as well. You will see other products within your niche that the audience is prone to buy, which can help you in deciding to launch your next product. Also, each of these sites can become little satellite sites that can collect emails for your overall brand. This strategy is not at all new, and Jon Haver from Authority Website Income has already written a detailed post about the concept here. Hi thanks for a great article. I have been shopabot to build my first amazon niche site. have you heard of it? If so what do you think? So far in a few weeks I have about 12k visitors and almost 100 product clicks, however none of that is being represented on my amazon reports page despit having the api set up correctly. What is your take on this software and those sort of numbers? This Agreement may be terminated by either party at the expiration of its term or any renewal term upon thirty (30) days written notice to the other party. Company acknowledges that this Agreement shall not be terminated for MA’s failure to follow an operating plan, standard procedure, training manual, or substantial equivalent published in Paragraph 3 (k) of this Agreement, except that Company does reserve the right to terminate this Agreement for MA’s failure to follow required procedures relating to the processing of sales contracts, invoices and billing related to Technology sold under this Agreement. All things considered, you could realistically see prices going up across the board for all items, unless some sellers deem they can partially eat the cost of tax hikes to maintain a competitive price edge in their particular space. Then there is Walmart going after Amazon’s ecommerce space market share, including and especially their Prime market. That also will affect the value of Amazon FBA businesses, just as Amazon’s rise affected to value of eBay businesses in many sectors. Company will undertake all reasonable efforts to provide technical assistance to MA under this Agreement when MA is unable to resolve certain technical issues and to rectify or provide solutions to problems where the Technology does not function as described in the Technology documentation, but Company does not guarantee that the problems will be solved or that any item will be error-free. This product support commitment is only applicable to Company’s Technology running under the certified environments specified in the release notes of the end user licensing agreement for that Technology or Package. Company may from time to time, however, discontinue Technology or versions and stop supporting Technology or versions one year after discontinuance, or otherwise discontinue any support service. Company is not liable for incidental, special or consequential damages for any reason (including loss of data or other business or property damage), even if foreseeable or if MA or Customer has advised of such a claim. Company's liability shall not exceed the fees that MA has paid under this Agreement. MA agrees that the pricing for the services would be substantially higher but for these limitations. Setting up a website is easier than you think. I personally use Bluehost (you can use whoever you want) to set up all my websites because they have a 1-click button that sets up a WordPress website for you, if that’s scary, here is a detailed post on how to start a blog written for some friends. Let me know in the comments if you have any questions. We’re happy to help! You hereby agree to indemnify and hold harmless FatCow and its subsidiaries and affiliates, and their directors, officers, employees, agents, shareholders, partners, members, and other owners, against any and all claims, actions, demands, liabilities, losses, damages, judgments, settlements, costs, and expenses (including reasonable attorneys' fees) (any or all of the foregoing hereinafter referred to as "Losses") insofar as such Losses (or actions in respect thereof) arise out of or are based on (i) any claim that our use of the Affiliate Trademarks infringes on any trademark, trade name, service mark, copyright, license, intellectual property, or other proprietary right of any third party, (ii) any misrepresentation of a representation or warranty or breach of a covenant and agreement made by you herein, or (iii) any claim related to your Affiliate Site, including, without limitation, its development, operation, maintenance and content therein not attributable to us. Companies online will give you a commission if you refer a customer to them. An easy example would be with Amazon. Amazon has an affiliate program called Amazon Associates. It’s free to join and takes just a couple minutes to set up. From there you can search every product that is on Amazon and get your personal referral link. Let’s say your friend mentioned they wanted a new TV. You could send them your referral link for a TV on Amazon. Your friend buys the TV for $500, and Amazon gives you 6% of that sale. That means you made $30 without doing anything. Pretty cool, huh? 8. The Holidays are Boom Time – While I’m really happy with the way my Amazon Affiliate income is growing ($2500 a month is so far beyond what I’d ever expected from it in the early days) it’s worth noting that things really fire up in the lead up to Christmas and the holiday season. Over the last few years I’ve noticed significant jumps in Amazon earnings in December (as much as 100%). The key is to plan ahead (make sure your links are all up to date a couple of months out) and run a few Christmas specific posts in the lead up to the Holiday rush (start to prepare as early as October/November).